The legendary icon tells his story--a tale of art, passion, commitment, addiction, as intense and hypnotic as the man himself. In a career spanning five decades, Nick Nolte has endured the rites of Hollywood celebrity. Rising from obscurity to leading roles and Oscar nominations, he has been both celebrated and vilified in the media; survived marriages, divorces, and a string of romances; was named the "Sexiest Man Alive" by People magazine; and suffered public humiliation over his drug and alcohol issues, including a drug-fueled trip down a "long road of nothingness" that ended in arrest. Despite these ups and downs, Nolte has remained true to the craft he loves, portraying a diverse range of characters with his trademark physicality and indelible gravelly voice. Already 35 when his performance in the 1976 miniseries Rich Man, Poor Man launched him to stardom, Nolte never learned to play by Hollywood's rules. 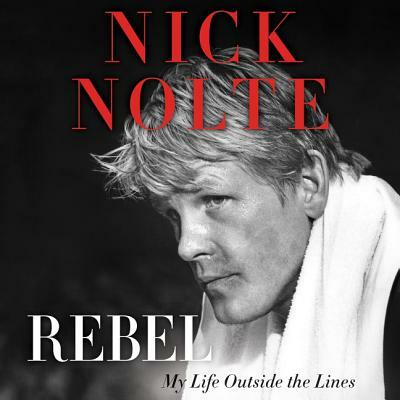 A rebel who defies expectations, an obsessive method actor who will go to extremes for a role (he lived among the homeless to prepare for Down and Out in Beverly Hills), Nolte is motivated more by edgier, more personal projects than by box office success. Today he is clean yet still driven, juggling a number of upcoming works and raising his young daughter. A man who refuses to hide his mistakes, Nolte now delivers his most revealing performance yet. His revealing memoir offers a candid, unvarnished close-up look at the man, the career, the loves, and the life.